Q. How do I perform a search for a phrase using the Library Search Box? You can search for phrases by placing double quotation marks around the phrase. 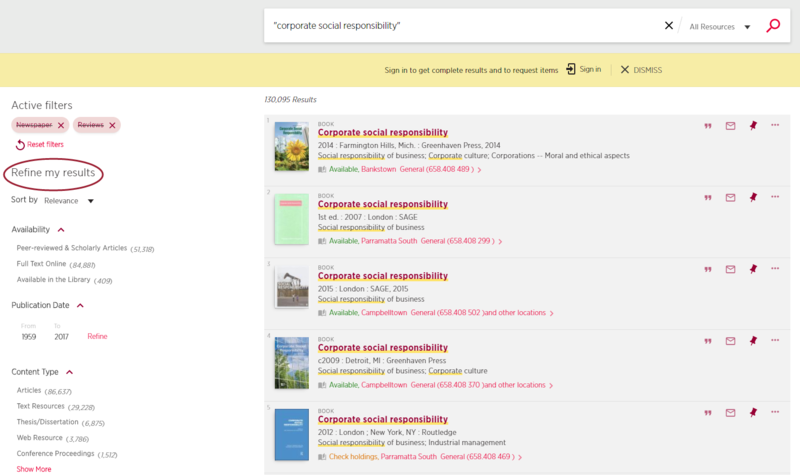 For example, to search for 'corporate social responsibility' as one term, enter the terms enclosed in double quotation marks into the Library Search Box. The titles given in the search results page, will match the phrase you just searched. You can use the facets on the left hand side of the page to refine your search further.